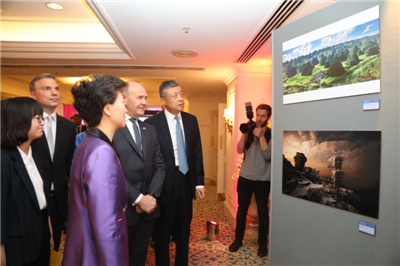 On April 25, 2018, the event of “Guizhou Going Global - the United Kingdom” was held at the Landmark, London. 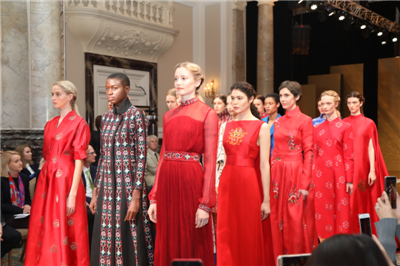 It was the first overseas promotion jointly hosted by the Chinese Foreign Ministry, the Chinese Embassy in the UK and a provincial government from China. 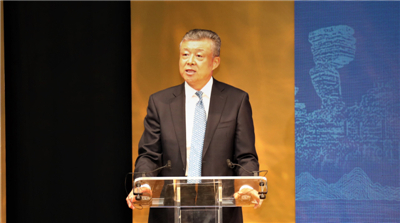 Shen Yiqin, Governor of Guizhou Province in China, Ambassador Liu Xiaoming, the Rt Hon. Lord Sassoon FCA, Chairman of China-Britain Business Council (CBBC), and Sir John Peace, Chairman of the Midlands Engine in Britain, delivered speeches respectively. 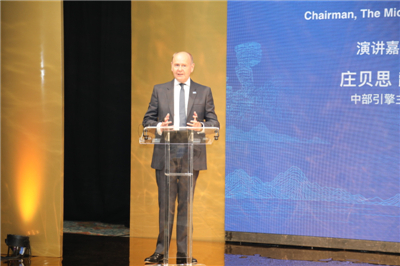 Nearly 150 representatives from political, business, cultural, educational and media sectors of China and the UK were present, including Stephen Perry, Chairman of the 48 Group Club, Sir Tom Troubridge, Vice-Chairman of CBBC and the Rt Hon. Andrew Mitchell MP, former Secretary of State for International Development. 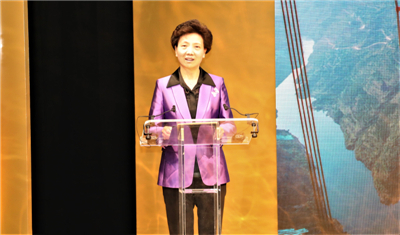 Governor Shen Yiqin said in her speech that Guizhou is a mountainous province with numerous bridges. The bridges are not only the pathways for Guizhou people to go global, but also the World’s gateways to Guizhou. On the other side are Guizhou’s magnificent landscape, colourful ethnic customs, bountiful products renowned to the world, and tremendous development. On the occasion of the 40th anniversary of China’s reform and opening up, Guizhou stands ready to join hands with all the sectors of the UK to build a bridge of cooperation in business and trade to share development opportunities, a bridge of cooperation on data to promote Big Data Development, a bridge of cooperation on tourism to share stunning sceneries and a bridge of cooperation on ecological and environment protection. Calling Guizhou a “precious province”, Ambassador Liu said, Guizhou today is “leveraging its strategic location on the Belt and Road routes.” “It has become a pioneer in China’s new round of reform and opening up. It is where different ethnic groups live in harmony. It gives priority to the preservation of the eco-system. And its development is driven by innovation.” The Ambassador noted this “Precious Province” is an epitome of China’s reform and opening up, a model for targeted poverty alleviation, an exemplar of ethnic unity, and a pioneer of innovation-driven development. He hoped that Guizhou could play a more precious role in China-UK relations. The two sides should seize the “precious opportunity” arising from their matching development strategies, tap the “precious potential” of their comparative strengths to foster growth points in their cooperation and make full use of Guizhou’s location as a “precious opening-up platform” to deepen cooperation on the Belt and Road Initiative. Lord Sassoon noted that Guizhou’s natural beauty, ethnic culture and industrial advantages are impressive, especially its new model of ecological protection and innovative development. 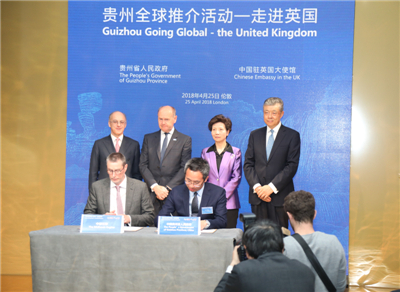 Currently, Britain and Guizhou enjoy a good momentum for cooperation, and have great opportunities for cooperation in economy and trade, culture, custom, design, music and beverage. In the context of Brexit, the CBBC is willing to promote the building of the bridge of cooperation between Britain and Guizhou to achieve more pragmatic results so as to help enhance China-UK “Golden Era". He was convinced that more British people would like to visit Guizhou. 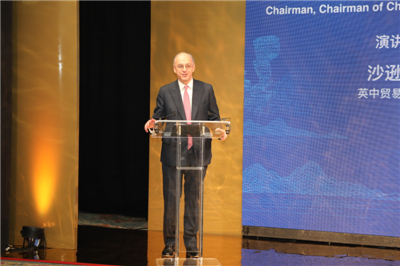 Sir John said that his visit to Guizhou earlier this year enabled him to enjoy Guizhou’s beautiful scenery, experience the hospitality of local people and explore plenty of investment opportunities of Guizhou. The Midlands Engine is very pleased to sign a memorandum of understanding (MoU) for cooperation with the Provincial Government of Guizhou to share the development opportunities. China and Britain have broad prospects and great potential for cooperation. He is looking forward to a brighter future for the cooperation between the two countries. Witnessed by Governor Shen, Ambassador Liu, Lord Sassoon and Sir John, Guizhou Provincial Development and Reform Commission signed an MoU on cooperation with the Midlands Engine in Britain, and so did China Craftsmanship with the University of Huddersfield. 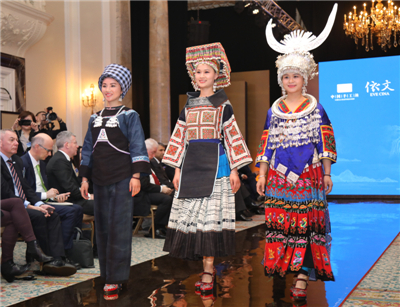 At the promotion event, Governor Shen, Ambassador Liu and guests from both China and the UK viewed a photo exhibition of Guizhou landscape, watched a promotional video, enjoyed Grand Songs of the Dong ethnic Minority and an ethnic fashion show, and listened to the briefings on Guizhou’s culture by experts. The guests were impressed by Guizhou’s breathtaking landscape, unique customs and great business opportunities. As an epitome of China’s 40 years’ reform and opening up, Guizhou has made remarkable achievements. This has generated enthusiasm for information about Guizhou and opportunities for cooperation in the future.